Control oil, smudging and uneven makeup. 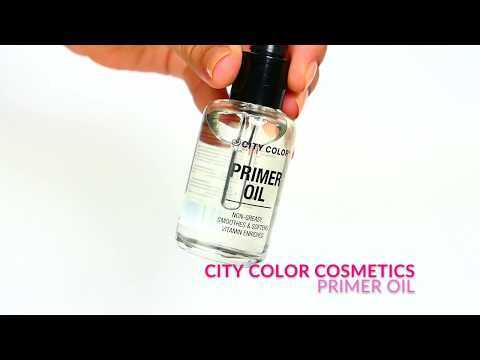 The City Color Oil Control is a new multi-use Primer Oil creates a flawless, silky, even-toned dewy finish; the lightweight formula minimizes pores and smooths skin texture. It can also be applied anywhere from face, split ends, cuticles to skin! This non-greasy oil is vitamin enriched and smooths and softens skin. Caution! : Contains Peanut oil!